With the upcoming city council election in Lancaster turning ugly over race, it seems time for me to weigh in. If we want to stop any of the racism, the social unrest, and even the class warfare that divides us, we have to start by changing the way we think. When people go around expressing slogans like, “Be the change you want to be in the world,” often they don’t realize the change is for and about them and not the world. “If you change the way you look at things, the things you look at change” is a slogan better worth remembering. I try constantly to get through to people that the way to unite all people is not to form tighter, narrower sub-groups of special interests, but to open to a broader way of looking at life that puts the whole issue of race in a clearer, truer, less important form. I don’t claim this is easy, but I do claim it is essential for the entire future of humanity. So at the start of my specifics about the political players who interact in our local small corner of the world, let me say unequivocally: There is only one race, the human race. Modern genetics has reached the point where anyone (for about 100 bucks) can send off a sample of saliva and find out what percentage and combination of ethnic ancestry you share with the entire human race. Even more shocking for those who want to hold a different unscientific narrative that states that humans were created special and separate from the rest of biological life, is that locked within the human genome are the genetic remnants of another species of human called Neanderthal, that we humans coexisted with on this earth as little as 40,000 years ago. Why they went extinct is not known, but the fact that they existed and crossbred with modern humans is a scientific fact. The fact that anyone would argue with that last statement at all shows clearly what the problem really is. So on with the local color commentary (pun intended). I stated publicly at the Chamber of Commerce candidates forum on March 12th in Lancaster, that if people of color (any color) look at my record and specifically at my unwavering and lonely pursuit to end the war on drugs, which so severely effects minorities at a highly disproportionate rate, they would know who their real champion is in this contest. 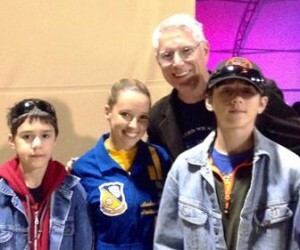 Paul and his family with a Blue Angels team member at the LA County Air Show. Also consider, I watched for years as local black leaders tried to start a criminal expungement program aimed at helping people (of color) get their records cleared, mostly of the unfair remnants of the war on drugs. It took a couple of legal minded lesbians and a few other fair minded people, including me, from the Tapestry Human Relations Commission at the behest of our mayor, R. Rex Parris, now labeled a racist, to actually get that done. We even produced a video to assist in the project. Sadly, not a single local minority leader will stand up publicly and recognize what I have done for all the members of this city and community and say they support me for one of the open two seats. I get it that people want someone that looks like them to represent them, but I say it is better to have someone who looks out for you with the fairness for what is right for everyone. When you watch the video below, remember, I was an invited guest speaker at this event – a “Community Prayer and Call to Action” on July 20, 2013. I had to speak right after Lancaster Commissioner Stan Muhammad made some remarks about gays and Jews that caused a great uproar. This is how I work; I did not tear down or take on directly my friend’s erred comments, because I know that conflict and confrontation does not enlighten the misinformed, only love and proper understanding will do that. What I did was steer the event back on proper course and reinstate the love that had been building. At the end of the video, watch what I say about Bishop Hearns. I told the crowd he called me something, a racial name, and he did, but because of the tension present that day I changed the word to another less offensive word for the sake of the mood. What Henry called me on that day I was talking about in the video was different than “whitey,” it was something that rhymes with slacker, and it was perhaps the most profound testament to the love and respect I share with him; it was not a racial slur in this context, rather a mocking of the absurdity of racism that I spoke about in the video. Unfortunately, this love is over ruled by the political concerns of getting elected another specific candidate. It is a personal pain to me that a man I love won’t say I’d be good enough for the second seat on the council because it could affect his first choice’s chances of being elected. That sensitivity may be why I am such a terrible politician, but my claim and hope is that this sensitivity is what makes me the best kind politician for you to want elected. If you want to see someone who cares for everyone, watch the video below. Is there a single civil rights leader in this Valley who will stand up and say I speak the truth or I am worthy to fill one of the slots open on this city council? No matter, they know I will still love them as always. 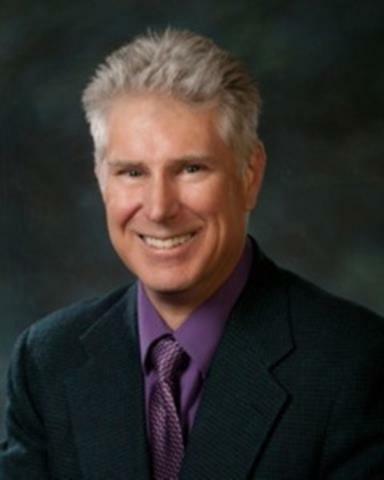 For anything else you would like to know about David Paul, please go to http://www.smartvoter.org/2014/04/08/ca/la/vote/paul_d/. 8 comments for "There is only one race, the human race"
Uh exactly how long does ” awaiting moderation ” take? Days, months, years? I’m still waiting for my comment on the Nixon/Kennedy debates from last night. Wish you all could read what i have to say that they won’t publish. Oh and I forgot to add …. Should we be worried about the International Bible published in 1965? I am …. This is not a Christian bible. Deplorable what these ” mentoring” and ” youth programs are doing to children ( physically, emotionally and mentally). No wonder so much mental illness. So Henry Hearns called you a “cracker” because he didn’t want you to run for City Council and take votes away from his favored candidate, Jonathan Ervin? Thank you for pointing out that you have to watch the whole video to understand the context of my remarks. If you go to the very end you can see Henry and I embracing which is a good indication that he was not displeased with any thing I said that day about a time long before that. It was to illustrate that racially charged words can be neutralized and robbed of harmful power through mocking their absurdity. As far as taking what political flyers say as being the whole or actual truth, well I’d be cautious about that. As long as you aren’t proposing that words be banned, press on. Eric, I agree. Words have no intrinsic power of their own, only the power we assign them. Now, I realize that when a whole bunch of people assign a word a certain type of power, especially a negative one, that is another matter. The point is to remember that we have the power to decide how we relate to these words. When you watch the link provided, remember solid protection under the law is what allows such an altruistic response to such vile hatred, and that has not always been the case in America, and I know that, but the video is delightful, and one of the best examples of how to defeat racism I have ever found.